Request age of any children. 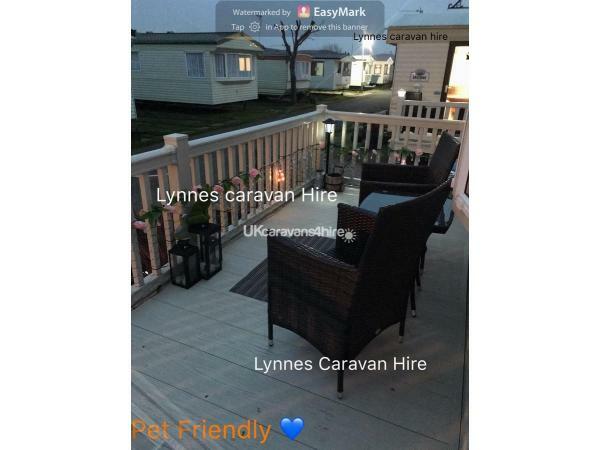 You can also find me via my face book page lynne’s caravan for hire for any help. All new members always welcome to the group. Also please don’t hesitate to ask for prices for mid week,weekend breaks ect.If possible when enquiring, can you leave a phone number as E mail not always reliable and I don’t want you thinking I have not got back to you, thank you. 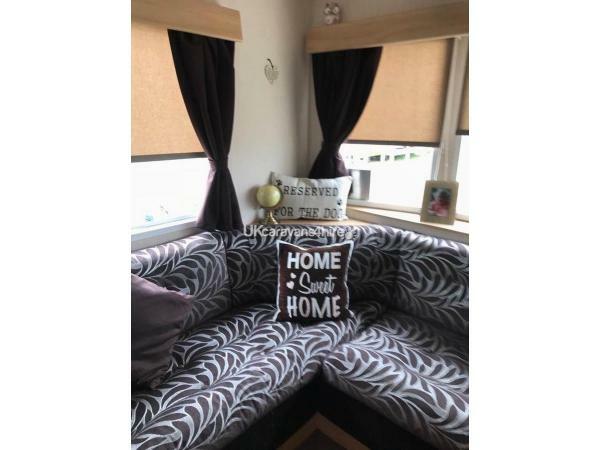 I have to say this is one of the best caravan breaks we have ever had, as everything from price of the van to the cleanliness of the van with everything in it to make your stay as comfortable and homely as possible including heating - as it was outside of season. We found that there was everything on site and in the immediate area to make this a great base for a holiday in the summer (though most things closed when we there in Dec, as out of season -still had a brill time with walks and bus rides). That is why we have booked again for summer 2019 to take in all on offer, Lynne the owner is very down to earth and so helpful she is there to meet and greet you and is there when you leave to give you back your damages fee if all ok. What I also loved about it was that you could take your pet dog on holiday with you if you wanted, what more can you ask for - great. 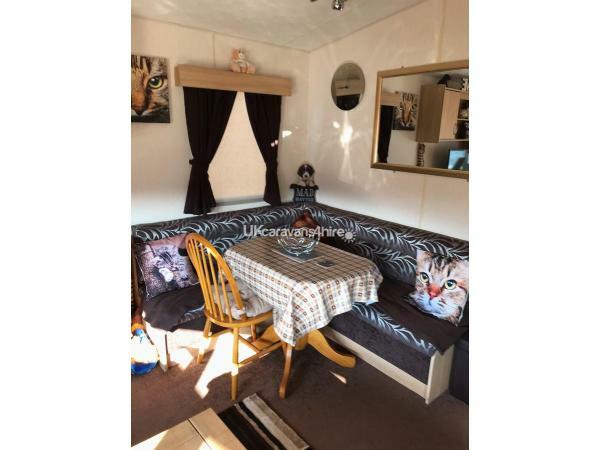 I have no problem what so ever in saying this caravan is definitely value for money. Thank you for your kind review. I’m so glad you all enjoyed your break and thank you for leaving my home as it was found. Look forward to seeing you again in summer. Regards Lynne. 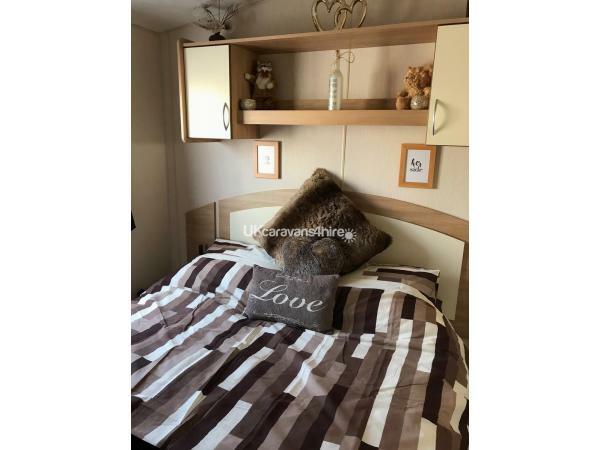 Myself,husband and 2 boys stayed for a week in this lady’s caravan. Lady met us on arrival,showed us everything we needed to know. The van itself was immaculate,we infact wanted for nothing. It was quiet but an enjoyable stay. Certainly would book again due to the extra personal touch of the owner, nothing was a trouble to her. Even my little poodle enjoyed his stay,he was even provided wth his own bed.